With April here, it means the annual gathering of broadcasters, manufacturers and producers is about to convene in Las Vegas. The NAB Show has grown and evolved with the changing broadcast landscape and now features a melting pot of technology known by the organization as the “M.E.T.” or media, entertainment and technology effect. The annual conference is broken down into various communities and conference tracks, including film, advertising, gaming, television, radio, social media, augmented reality, virtual reality and even drones. I’ve been attending the conference since I joined NewscastStudio studio and each year I log over 100,000 steps walking the show floor to see the latest product releases and trends across the industry. With that in mind, here are five things I’m going to be looking for on the show floor this year as it relates to local news. 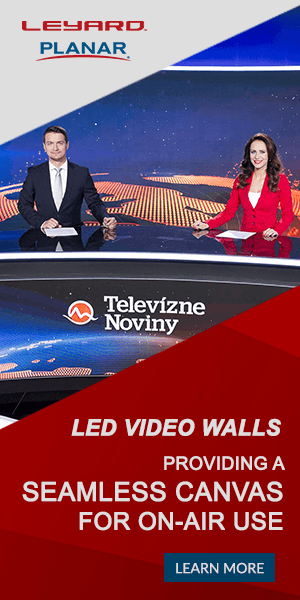 As LED’s become more cost effective, local TV stations are continuing to justify their usage over traditional displays in newsrooms and studios. Manufacturers, such as Leyard, Christie and Coleder, continue to innovate with fine pitch options starting at 0.9. Of course, with any display technology, however, comes questions on encoders, scalers and playout, such as how will you control your video wall and ensure it’s not used for just a generic skyline? LED’s are also allowing scenic designers to think outside the 16:9 rectangle, creating unique configurations that can even bend and flow throughout the space. Weather has always been important for local TV, no doubt, but with the election in the past, many station groups are now focused on enhancing core components of their broadcast. From single-box solutions for weather alerts from Vizrt to advanced hand tracking from Baron, manufacturers are aiming to innovate workflows, automating as much as possible while retaining a quality product. As well, OTT and multiplatform sharing are becoming one of the biggest drivers for weather, alongside new presentation tools like augmented reality graphics. Remember when big market TV stations had helicopters? Quickly deployable and with minimal costs, compared to traditional aerial coverage, drones have already become a staple of breaking news and event coverage. Even networks, like MSNBC and CNN, have utilized live drone video outside large events to help show scale. This year, many manufacturers are showcasing enhancements targetted specifically at TV news, which has been a secondary user of drones behind hobbyists and filmmakers, such as drones with enhancing onboard lighting and live streaming capabilities. For many cycles, companies have focused on the advantages of augmented reality, but it’s always been a question of manpower and resources. Through templating and workflows, companies like Vizrt, Brainstorm and Avid are hoping to make augmented reality a standard storytelling tool for broadcasters. With the barriers for entry lower than ever before, and some station groups such as Scripps and ABC Owned Television Stations beginning to embrace the technology, I feel like we’ve reached a vital tipping point for adoption. The question, as always, is how can it be optimized for smaller creative services departments? As more broadcasters focus on IP-based infrastructure, processes continue to evolve and adapt. How does the internet of things and the cloud play into vital software and hardware used by broadcasters? We’ve seen graphics creation handled in the cloud, but what about augmented reality? Monitor wall control? Master control? Broadcast Pix, for example, is launching at NAB a new “switcher in the cloud” that allows for control-over-IP from tablets and phones. 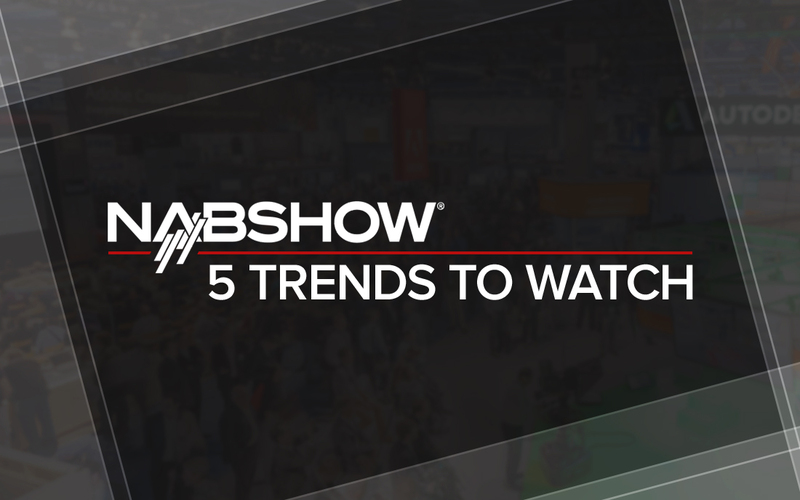 These are just a few of the trends and technologies I’ll be focused on at this year’s NAB Show. In a post-election year, the show will also serve as a look behind the health of the industry. Look for our continued coverage all month on NewscastStudio, including reports from the show floor, with our coverage supported by Leyard.